PANAMA CITY, PANAMA – Panamanian prosecutors are investigating a dispute between owners and the management of a Trump hotel, a skyscraper that cuts a distinctive figure among the towers crowding the capital city. 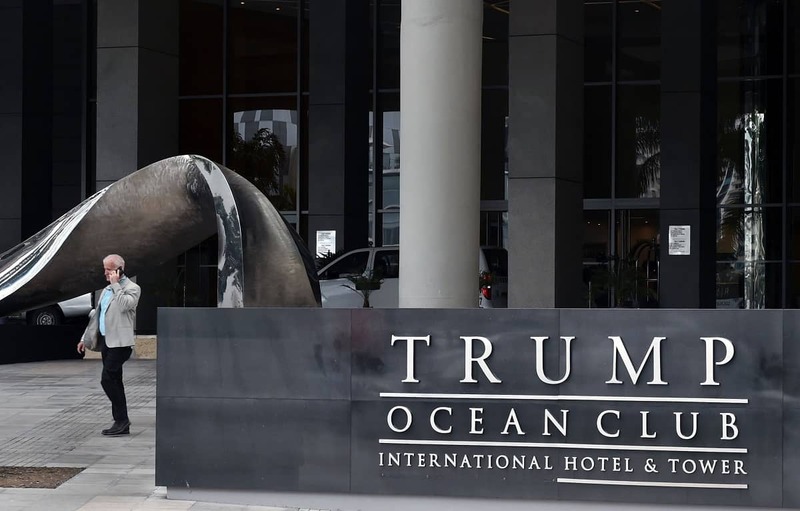 A probe has been launched “to establish if there is punishable conduct in regards to a complaint of usurpation in the Trump Ocean Club International Hotel and Tower property,” the Prosecutor’s Office said in a statement Monday. The row is between Miami-based investor Orestes Fintiklis, who last year became owner of the majority of the units in the building through a company he controls, and the Trump Organization, the real-estate group owned by U.S. President Donald Trump, which manages the property. Fintiklis wants to boot the Trump Organization before the end of its management contract, remove the Trump name and rebrand the building. In lawsuits lodged in the United States, Fintiklis alleges a decline in occupancy. The Trump Organization has hit back, claiming Fintiklis is breaching contractual commitments as owner. Last Friday, Fintiklis complained to the Panamanian prosecutors’ office that Trump Organization employees were barring his access to the units he owns. The hotel, designed in a distinctive sail shape, opened in 2011 in an exclusive waterfront sector of Panama City. Its units were put on the market for between $250,000 and $1 million. Donald Trump and Panama’s president at the time, Ricardo Martinelli, opened the property. Martinelli is currently on bail in Miami fighting extradition to Panama, where he is charged with corruption and spying. After becoming U.S. president, Donald Trump said he was handing off day-to-day control of the Trump Organization to his two sons.